Although a hashtag can be almost any word or string of words you want (within the character restrictions of your chosen platform), words are very powerful, and using the right ones is important. Be sure to choose a single hashtag for your library that will help to strengthen your brand presence and community awareness. My school library hashtag is #worldsofmaking. That represents our library brand and how we use our space, and sums up my philosophy of a participatory culture, all in one short phrase. The same can be said for Australian teacher and librarian Jackie Child, who fosters a culture of creation in her library with the hashtag #thetinkeringchild. A well-crafted hashtag can also help establish and promote a reading culture in your school’s library. For example, #WMSReads, the hashtag for Wilson Middle School in Lethbridge, Canada, is used to celebrate all things related to literacy. A hashtag such as this makes it known to all that reading is important in your library. Using your library hashtag to promote books, to post pictures of students reading, or even to host a book chat will lead to even more engaged and motivated readers. A hashtag for your school library can be a call to action by serving as an invitation for others in your school community to participate in telling your library’s story. By posting things related to your hashtag on social media, colleagues, school leaders, parents, and students become a part of your library’s story by helping it to take shape and unfold. 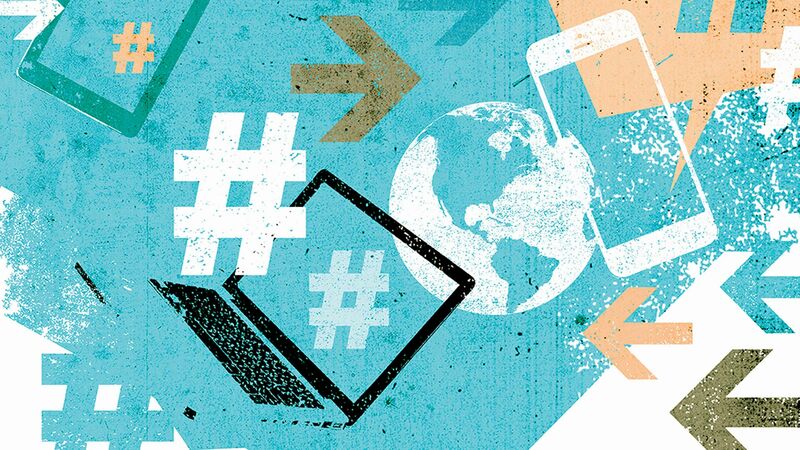 Although hashtags were “born digital” as opposed to originating in print, an effective strategy for promoting your library’s hashtag is to post it on bulletin boards and walls in your library and school. This will help drive hashtag use and lead to further community engagement and participation, even beyond the hours of the school day. The school library has evolved from a place to merely check out books to one that offers limitless opportunities and resources. These opportunities deserve to be showcased as effectively as possible. Promoting and publicizing your library will ensure that stakeholders see the impact and value of all that your school library has to offer. Hashtags help to further leverage the potential of social media platforms and provide a level of transparency that is sure to benefit any school library. School librarians in the 21st century have access to more tools than ever before to help promote the many ways they transform teaching and learning within their schools. A school library hashtag can be used across all social media platforms to help you create a community within and around your school library, as well as help you widen your reach beyond the school.